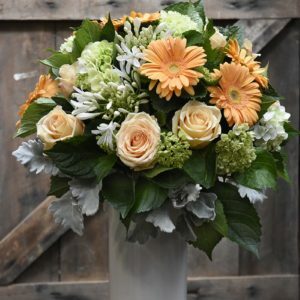 Vase arrangement of seasonal flowers in apricot, white & green. 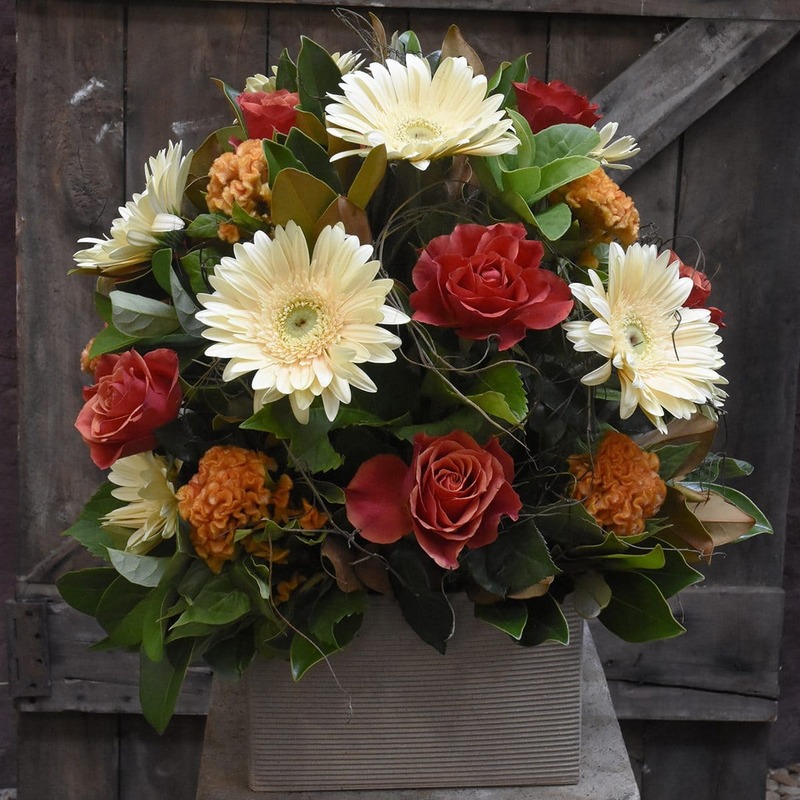 Box arrangement of fresh, seasonal flowers in autumn shades. 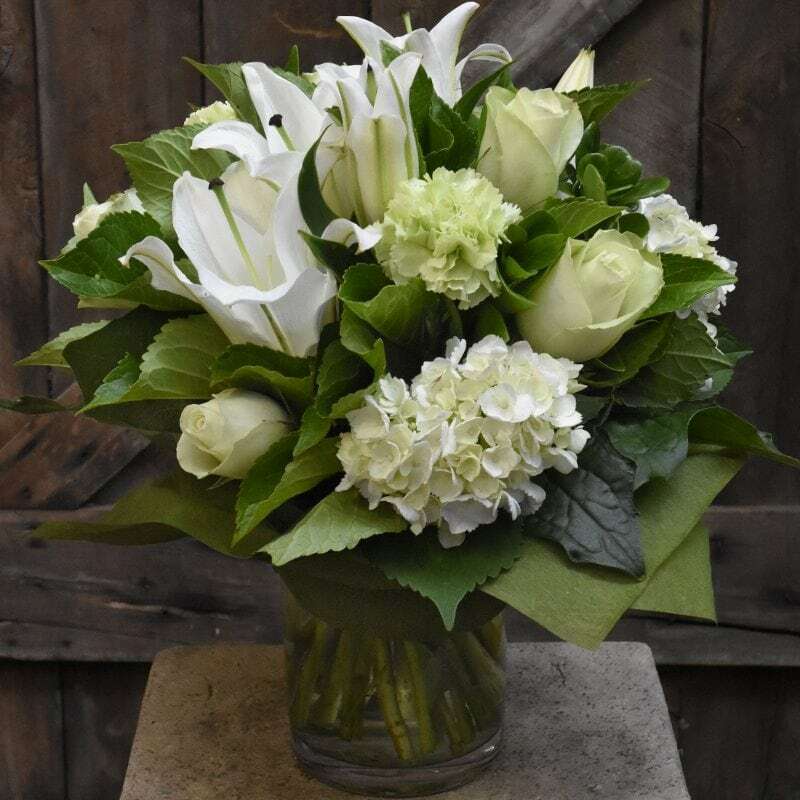 A posy of fresh market flowers in white & green tones arranged in a vase. 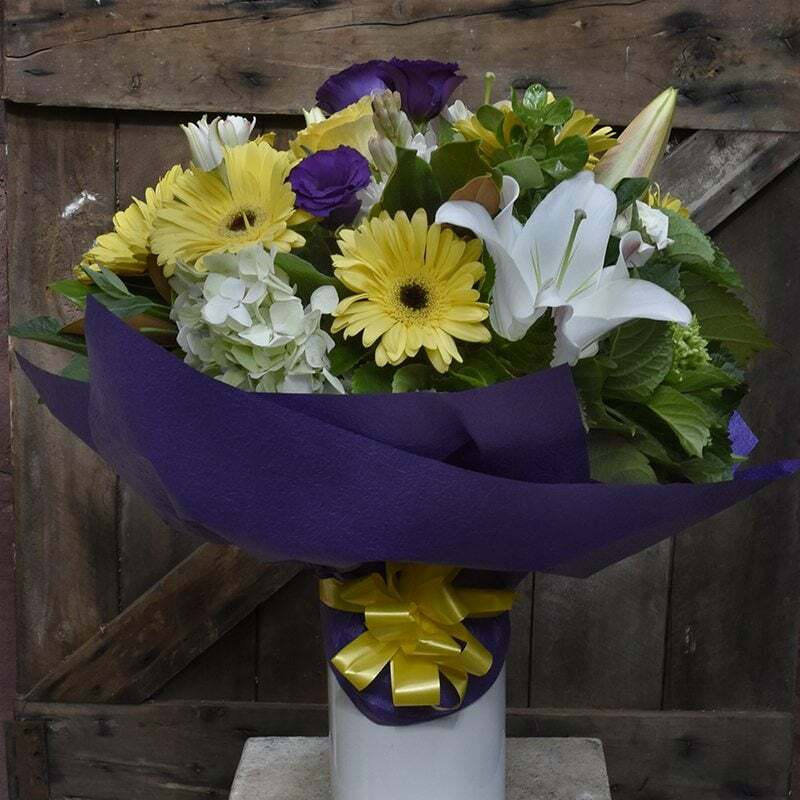 A bouquet of fresh market flowers in purple, yellow & white, arranged in a vase. 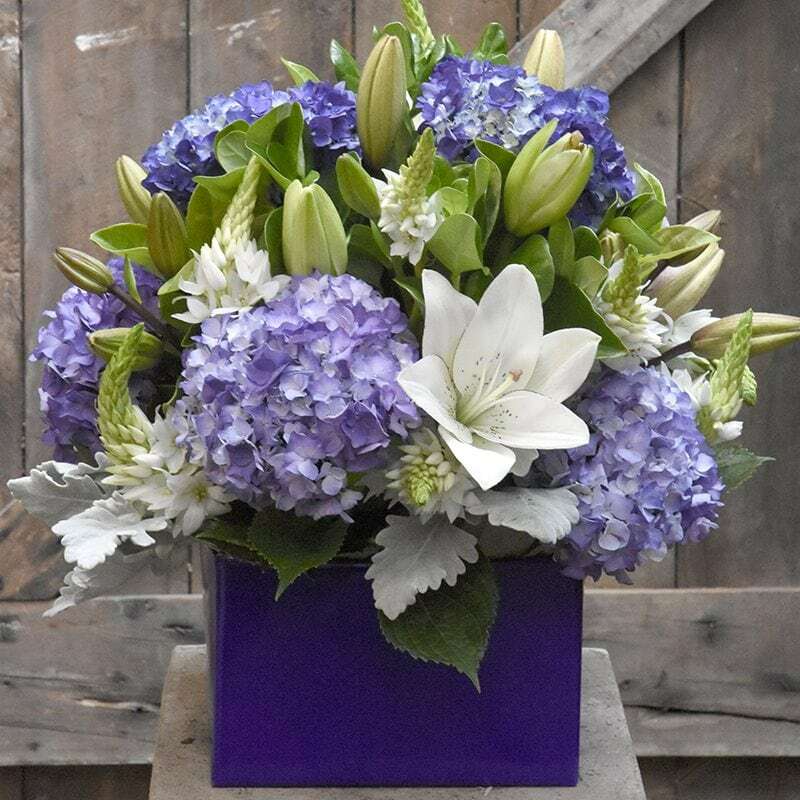 Box arrangement made with and assortment of market fresh flowers in shades of purple and white. 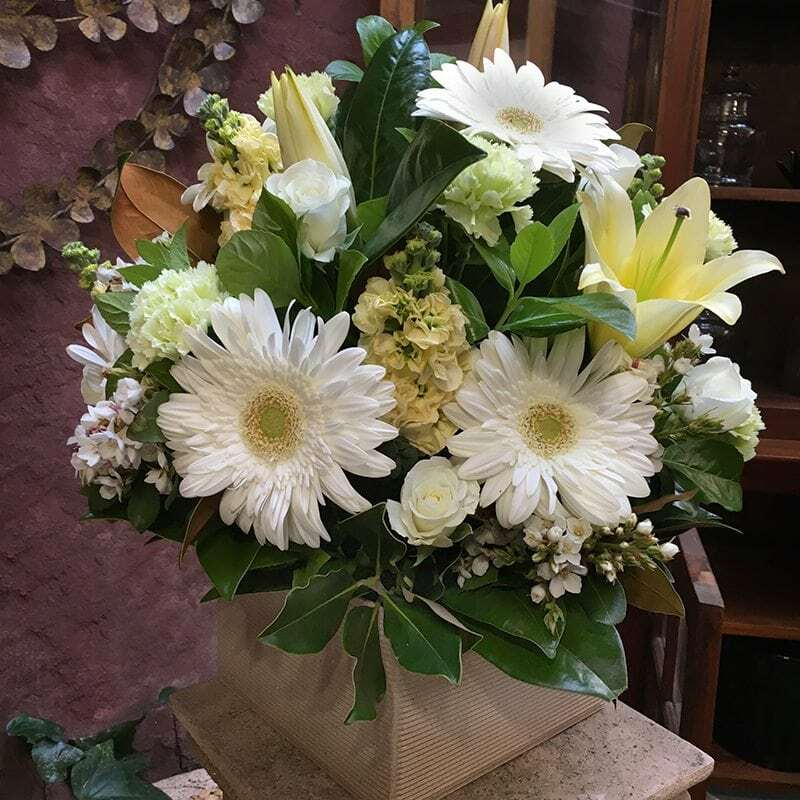 Front facing ceramic pot arrangement. 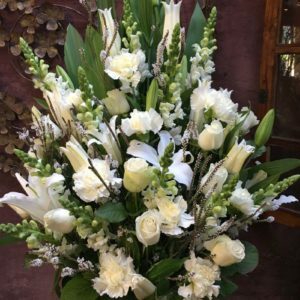 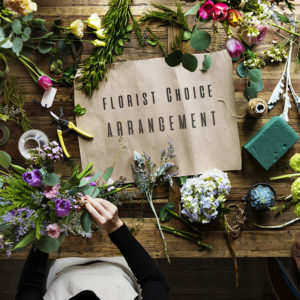 An arrangement is an assortment of flowers arranged into wet floral foam, which provides both water and support to the cut flowers. 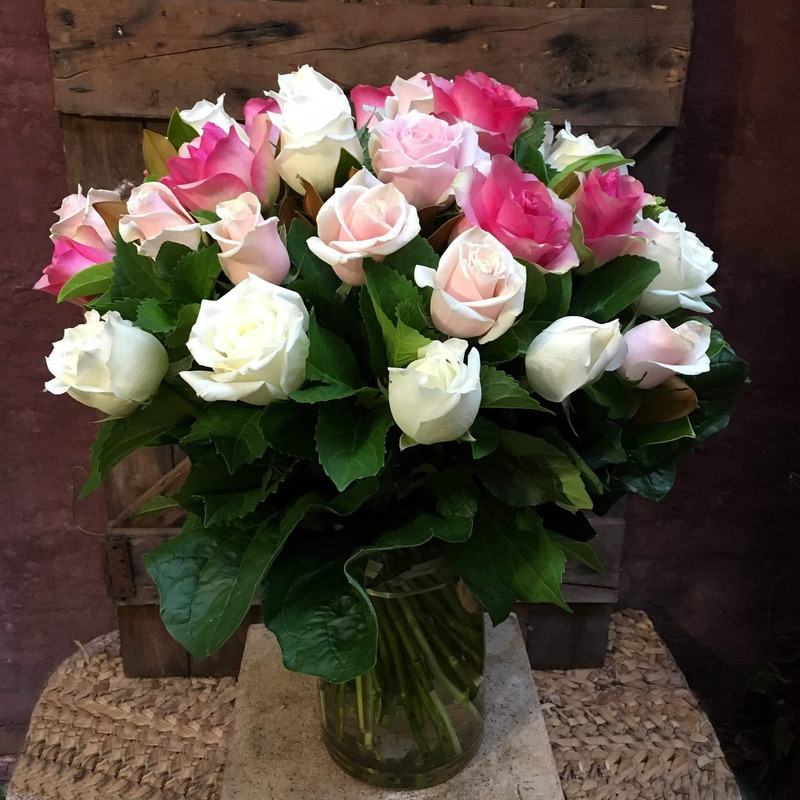 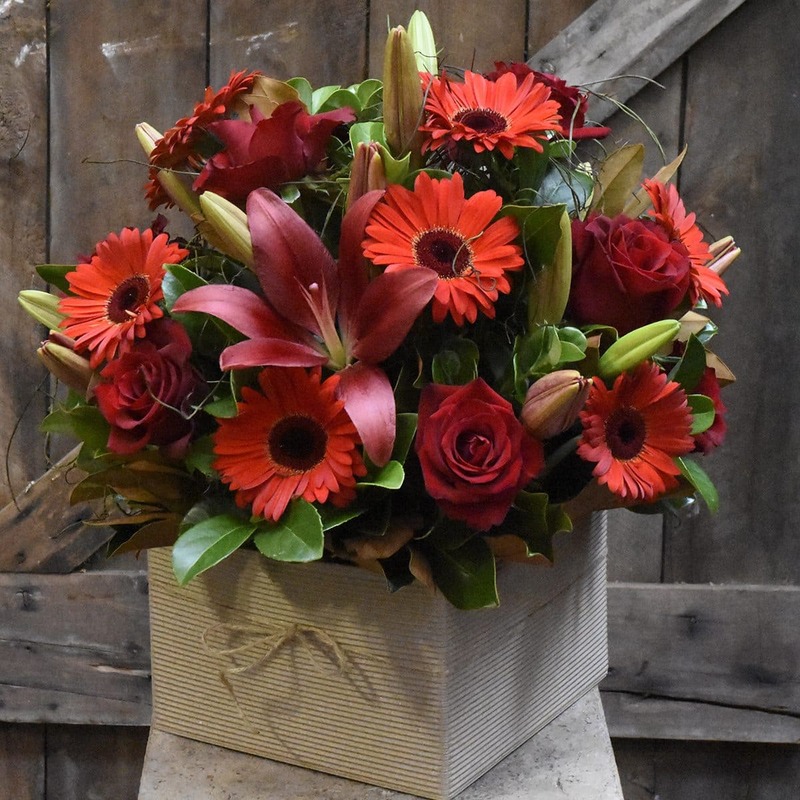 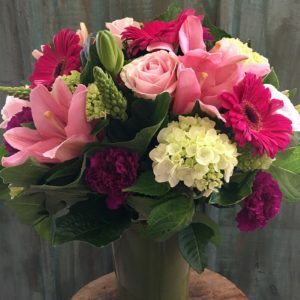 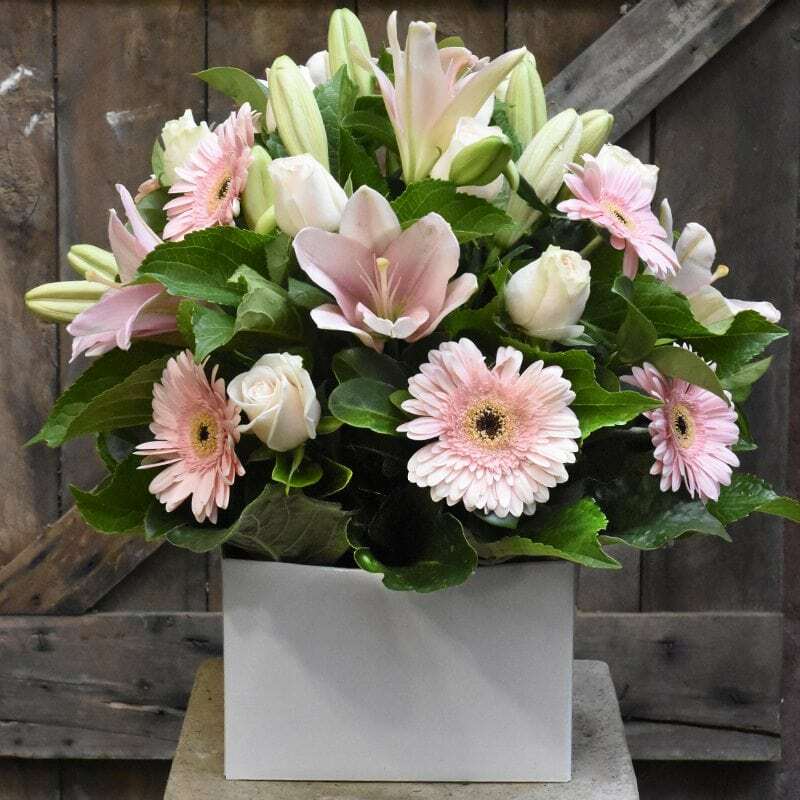 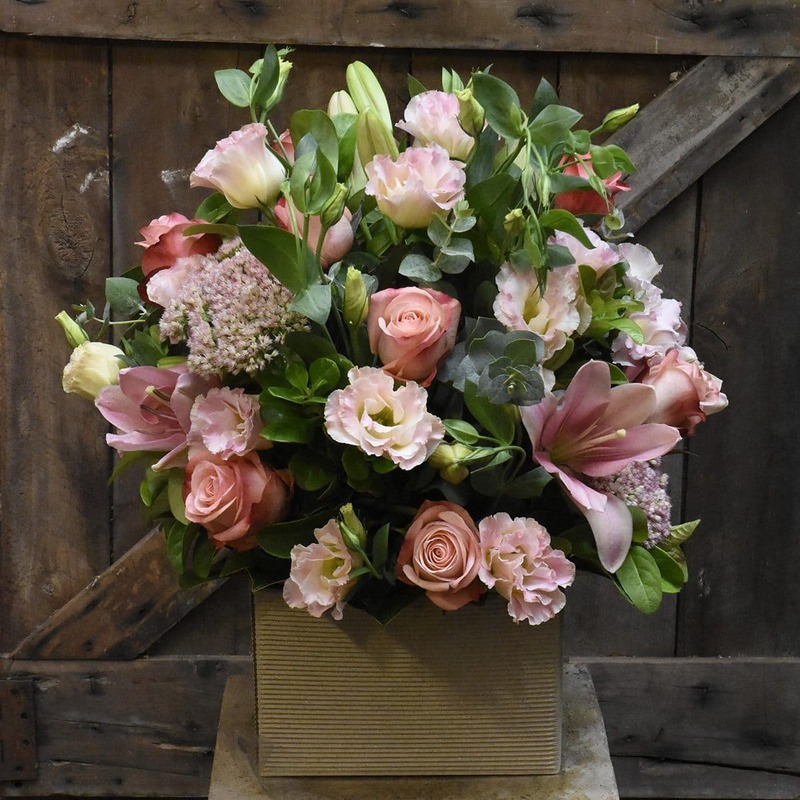 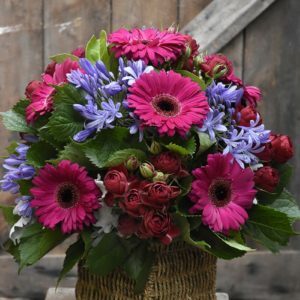 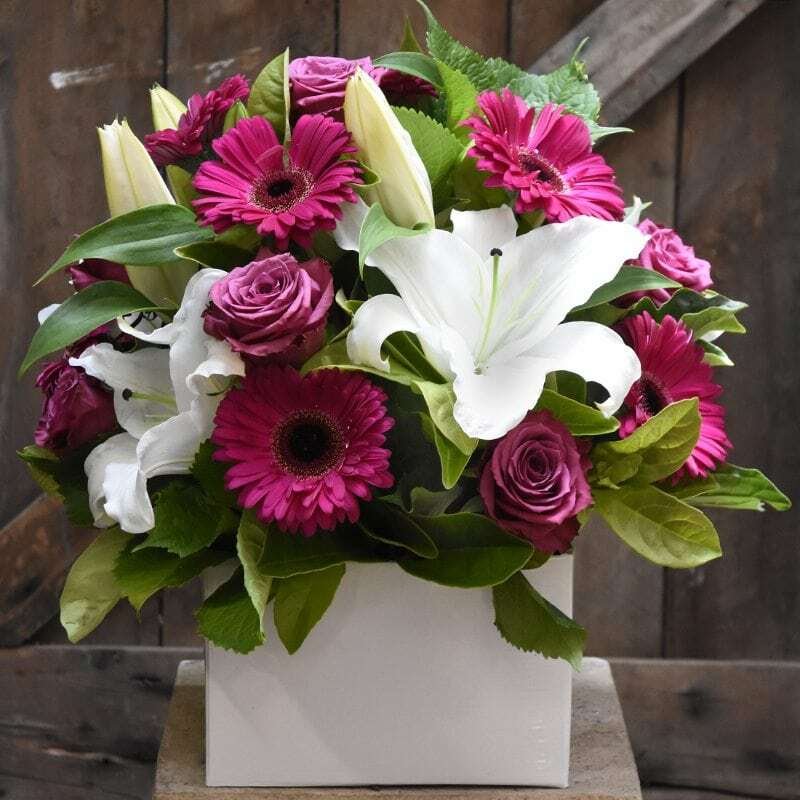 As the flowers are already in their own water source the recipient will not need to find a vase making it a convenient option, All that is required is a top up of fresh water every day or two. 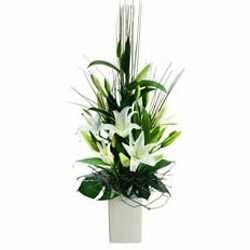 A modern creation of fragrant white Oriental lillies and foliage arranged in a ceramic vase. 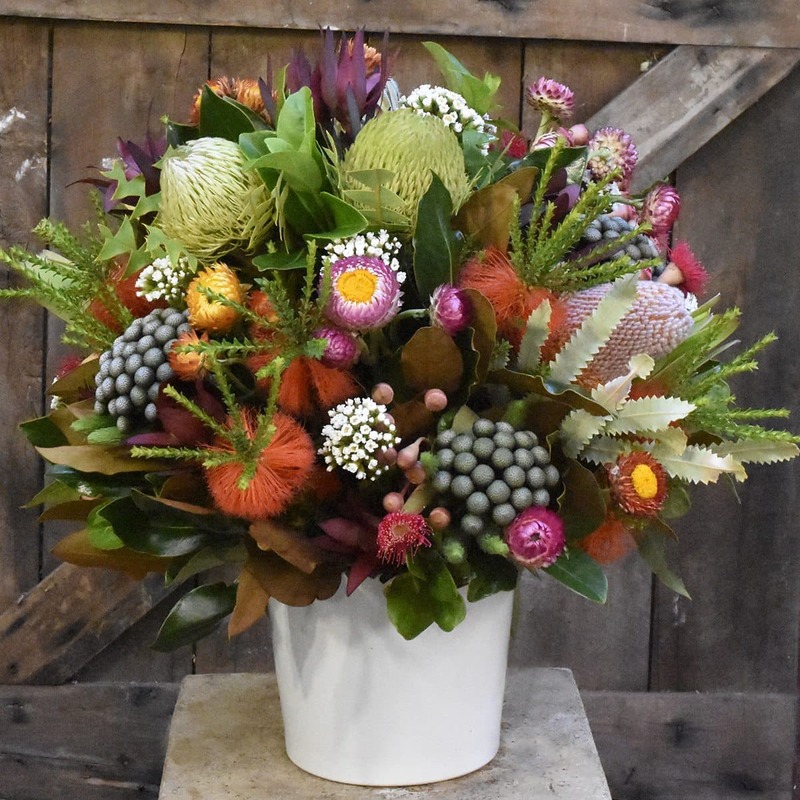 Ceramic pot arrangement made with and assortment of long lasting wildflowers.